There were over 900 DPT and PTA students at NSC this year! This demonstrates that a ton of students are finding value in the APTA early in their careers. 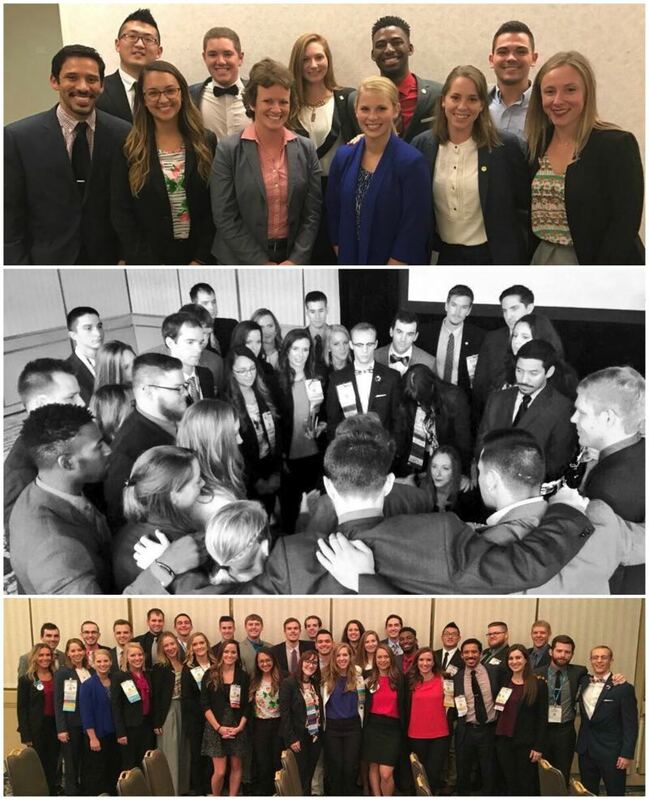 This is important because the student assembly (all student APTA members) makes up ⅓ of all APTA membership. We are the largest APTA component. 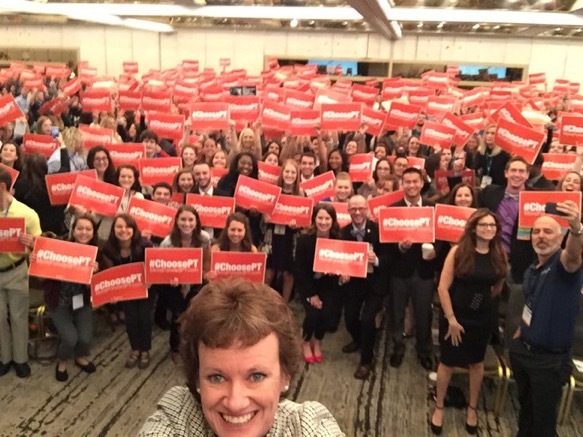 Imagine if we could keep this same degree of passion and involvement throughout our career and remain APTA members. We would have a profound effect on the health landscape. The National Student Conclave was originally developed so that students could get programming that is important and relevant to them. Not only that, but it allows students to network with one another and create lasting relationships with people they would otherwise never have met. Here are a couple pictures of me with people I met for the very first time or for the first time in person. Now we follow each other of social media and have stayed in contact with one another. I don’t think there is any true substitute to meeting people in person. Networking is absolutely possible on social media, but there is something special about shaking hands, observing mannerisms and being around all of the positive, uplifting energy. The programming was exactly what I needed at this point in my career! I honestly think that there was something for every student. Didn’t matter if you were a 1st, 2nd, 3rd year DPT student or 1st, 2nd year PTA student. Everyone was there for the same purpose: self-reflection and constant improvement. These types of conferences tend to attract some of the biggest game changers in our profession. I was able to find the time to speak to Sharon Dunn (President of the APTA), Efosa and Josh the founders of PT Day of Service, and Brett Neilson the Admissions Director of Evidence in Motion. I was given a massive opportunity to meet these individuals in person and make an impression. I was given direction, guidance and mentorship. I even exchanged contact information with these individuals and I feel comfortable reaching out to them if I need anything. I cannot place a monetary value on these opportunities! 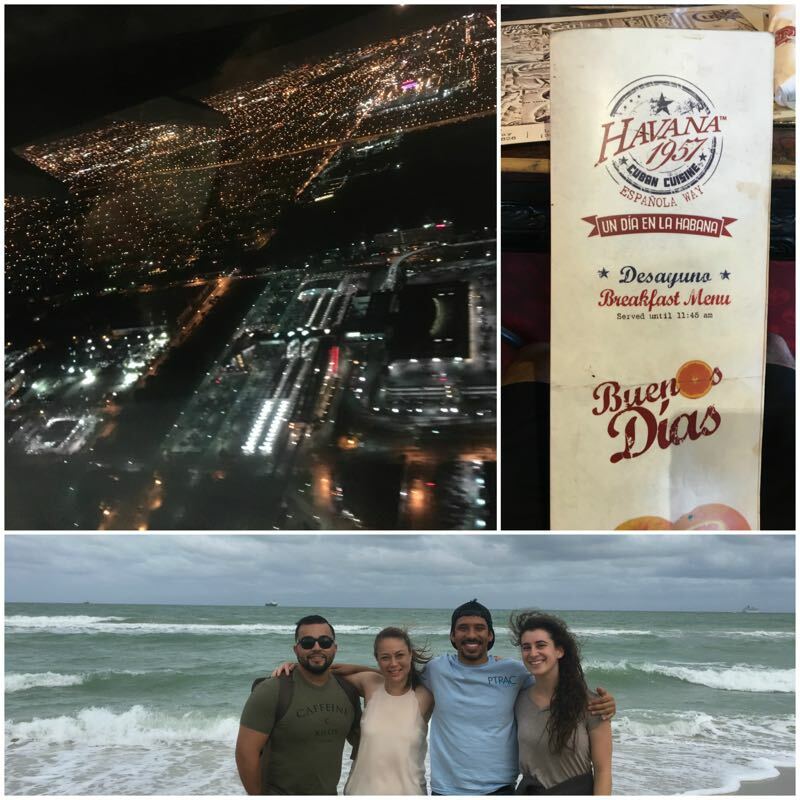 I don’t travel much so Miami was a HUGE change in scenery! I didn’t understand what humidity was until I stepped off the plane. I didn’t know what people meant by hurricane season until we got drenched the first night while walking around. I didn’t know about Cuban sandwiches or South Beach! It may seem insignificant to a person that lives in Miami, but I gained so much from my travels! 5. The New Student Assembly Board of Directors! Every year the Student Assembly elects the new Board of Directors at the National Student Conclave. Below is a picture of all of the candidates that were slated for the board. This year’s election process was exceptionally competitive and everyone was highly qualified! Each candidate was given the opportunity to speak in front of the entire Student Assembly and talk about their vision for the future. I cannot think of a better group of individuals to go through this process with. 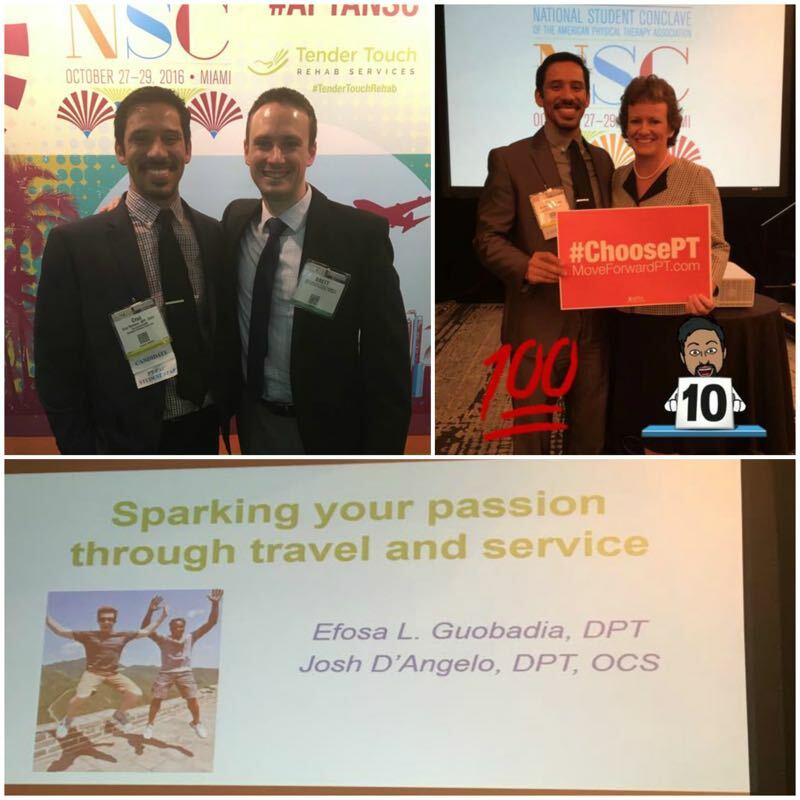 We established early on, there is no winning and losing in this election process because we will all go on to impact the physical therapy profession in incredible ways. The process was challenging and many of us lost sleep because we couldn’t stop talking to that last student that had a question about how to get more involved! Watch out for this group of leaders, because all of them have very lofty goals! This group was elected to be on the 2016-2017 Student Assembly Board of Directors! Currently, we are working with the previous board to make a smooth transition into our new roles. There is a massive learning curve, but we are over-the-top excited to serve the Student Assembly. We will be responsible for expanding on the amazing work of the previous board and be a catalyst for student engagement and involvement. 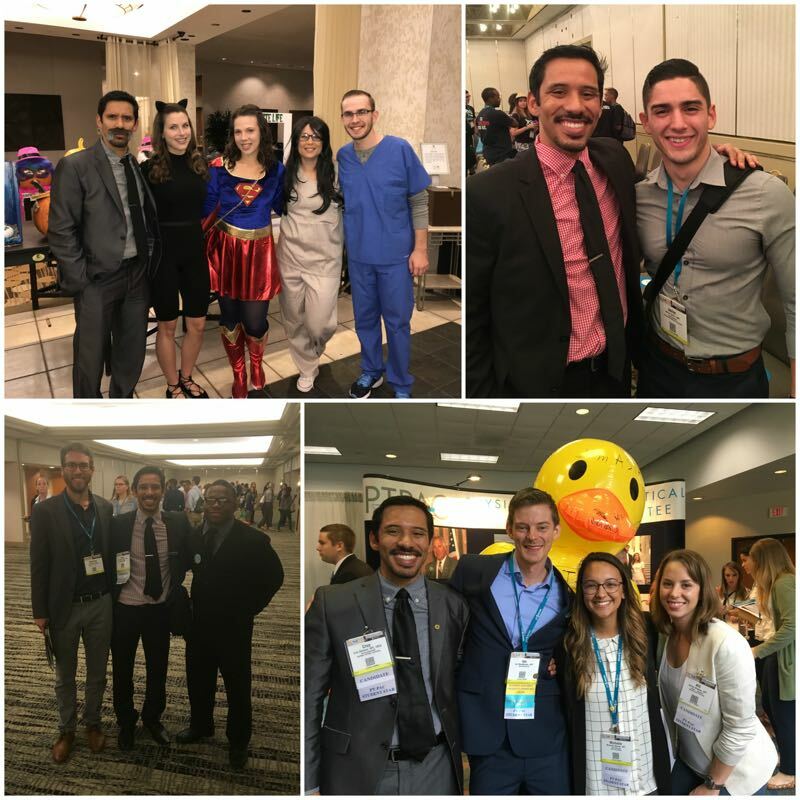 It is our hope that we will bring value to the Student Assembly by promoting the benefits of a career of APTA membership, involvement and giving back. I am the new Director of Communication and it is my specific role (along with the help of my colleagues and the APTA) to use multiple informational mediums to meet you where you are and bring you valuable content. It is my pledge that I will remain consistent in my messaging and delivery. I will also always keep your needs and desires at the forefront of my decisions. Thank you for your time and for reading this post about my experience at the 2016 National Student Conclave. I hope that my story will spark a passionate flame underneath you for PT advocacy and overall involvement. Huge shout out to Ben Fung for allowing me to guest post on UpDoc Media! Cruz is a 3rd year DPT student at Northern Arizona University class of 2017. Cruz is also a Certified Strength and Conditioning Specialist and plans on pursuing an orthopedic residency after graduation in May. 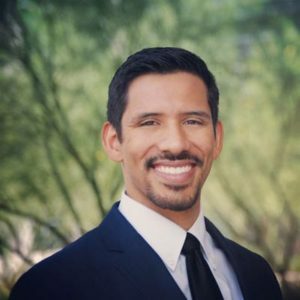 Cruz has a passion for physical therapy advocacy, private practice, orthopedics and sports. When not nerding out over physical therapy, he enjoys spending time with his girlfriend and two dogs. 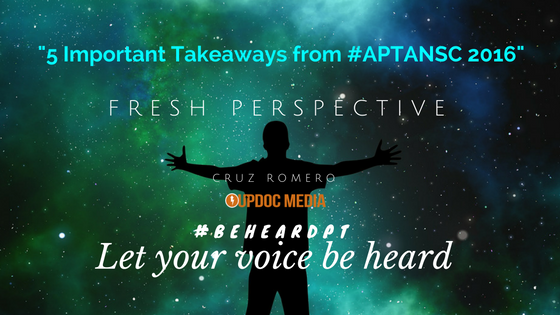 You can easily reach Cruz on Facebook (Cruz Romero), and Twitter (@cruzromero602), but you can also reach him via email at aptasa.doc@gmail.com. Feel free to reach out and connect anytime.